Saturday, November 1st marks Día de los Muertos, a traditional Mexican and Central American holiday that is observed throughout many households. Often confused as Hispanic Halloween, this traditional holiday instead focuses on gatherings to commemorate the lives of friends and family who have passed away. Traditions from this centuries-old holiday include not only colorful festivals and live celebrations, but also the creation of private altars called ofrendas to honor the deceased. Families & friends honor the departed with sugar skulls, marigolds and favorite foods and beverages, among other things. This year, celebrate Día de los Muertos with close friends and family by enjoying cocktails crafted with Mexico’s original luxury tequila, Tequila Don Julio. The below recipes created by Mixologist Marshall Altier will help you commemorate your ancestors in an authentic way. Combine Tequila Don Julio Añejo, apple brandy, Mexican cinnamon syrup, apple bitters and angostura bitters into a cocktail shaker with ice and stir. Strain contents into an Old Fashioned glass over a large rock. 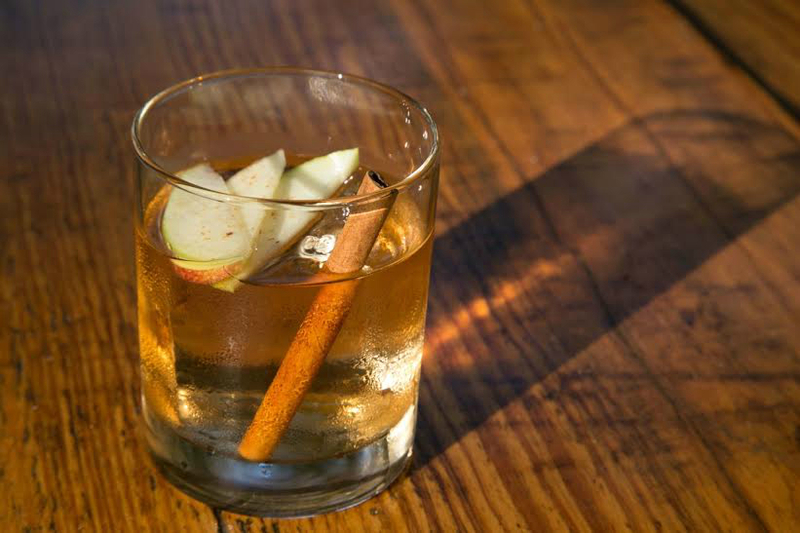 Garnish with apple fan and partially grated cinnamon stick. Build by pouring Tequila Don Julio Blanco and lemon juice over fresh ice in a Collins glass. Top with equal parts spiced cider and ginger beer. Top with dash of apple bitters.